Product prices and availability are accurate as of 2019-04-15 07:57:46 UTC and are subject to change. Any price and availability information displayed on http://www.amazon.com/ at the time of purchase will apply to the purchase of this product. 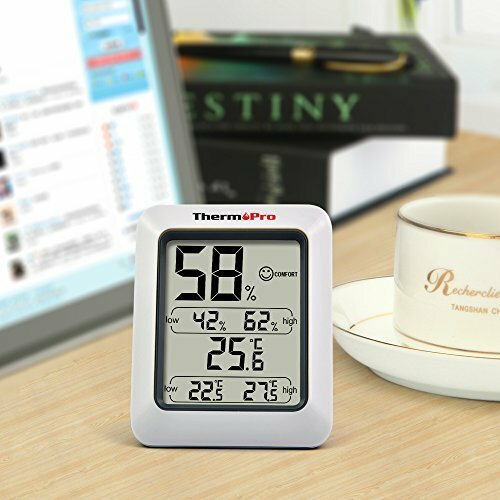 With an accuracy of ±2%RH and ±1°F, temperature range from -58°F to 158°F (-50°C ~ 70°C), the ThermoPro-TP50 helps maintain proper temperature and humidity conditions in baby rooms, houses, offices, greenhouses and other temperature and/or humidity sensitive environments. It's the perfect companion for your humidifier and dehumidifier. 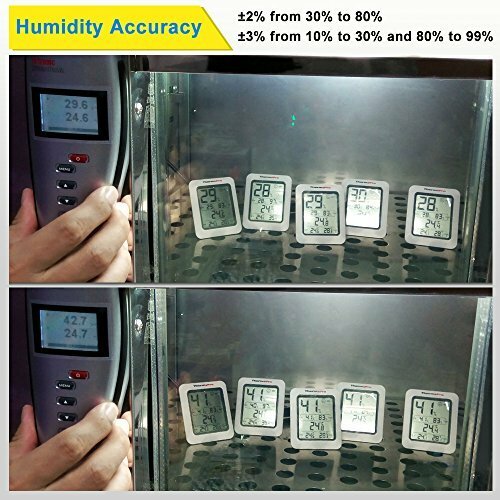 Using a digital thermometer with humidity reading to ensure proper indoor humidity control has important skin, allergen and other health benefits by inhibiting the growth of mold, bacteria, viruses, fungi, mites and other asthma inducing agents. Digital thermometer with humidity reading features a precision hygrometer and thermistor, which allows you to check comfort conditions at a glance. And you'll appreciate how the handy Humidity Level Icon takes the guesswork out of maintaining proper indoor levels. -- Check indoor air conditions at a glance with the Humidity Level Icon. The icon easily indicates a high, low, or ideal indoor humidity level. -- Dry: Humidity is below 30%. -- Comfort: Humidity is between 30%-60%, temperature is between 68°F-79°F (20°C-26°C). -- Wet: Humidity is above 60%. 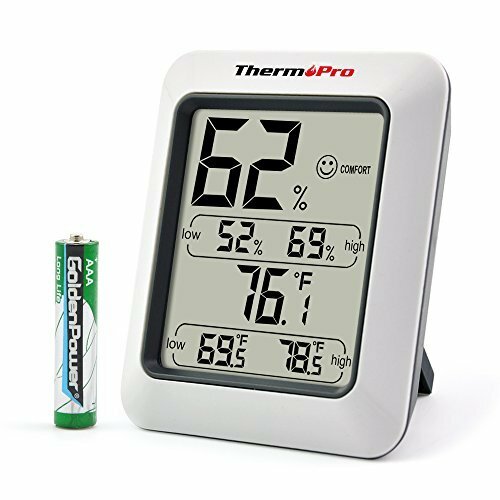 High & Low Records -- The digital thermometer-hygrometer displays the highest and lowest temperature and humidity readings measured in the past. Easy to RESET -- Press and hold the Clear Button for 2 seconds to clear the record maximum and minimum humidity/ temperature readings. Magnetic Backing -- The Temperature and Humidity Monitor is simple to use and features a variety of mounting options. Stands upright for tabletop use, and offers a magnetic backing for easy placement on metal surfaces such as your refrigerator.